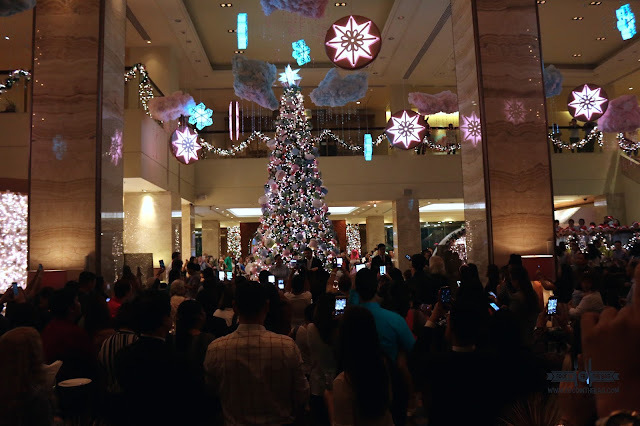 What became a yearly tradition, EDSA SHANGRI-LA just recently had their Christmas Tree Lighting Ceremony. 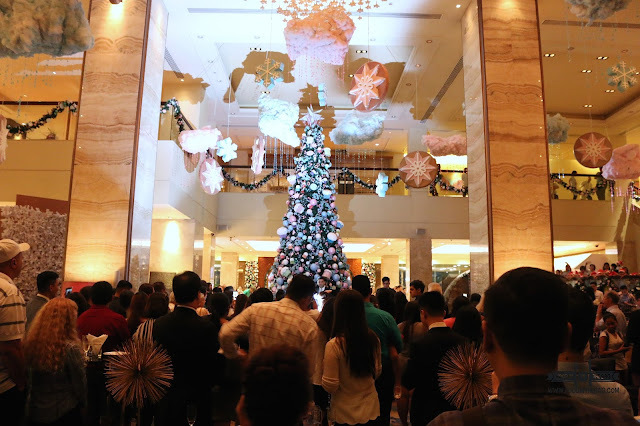 Located in the impressive lobby lounge, an amazing Christmas tree was set up alongside different colorful works of art. 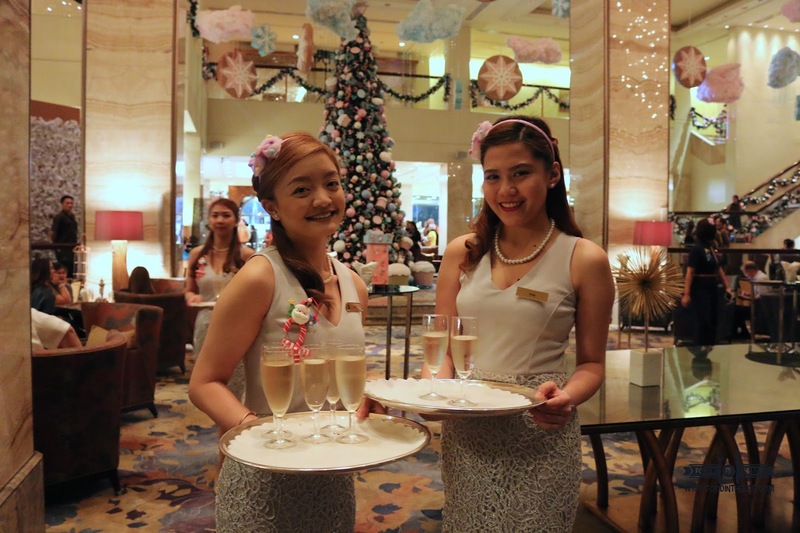 While waiting for the ceremony, guests and patrons were invited to indulge in Christmas treats. 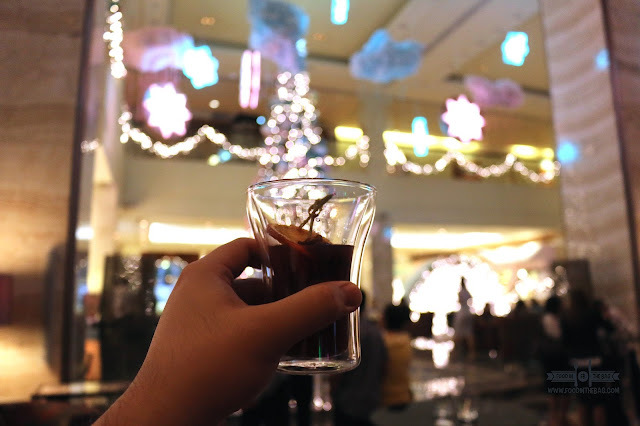 From sparkling wine to a bit of pica pica, you won't go wrong with EDSA SHANGRI-LA. And just like that, the tree was lit. 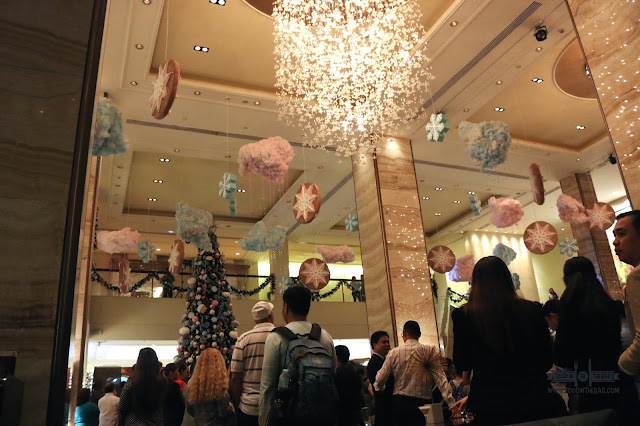 A glorious sight at the incredible lobby of EDSA SHANGRI-LA. They also brought back the snow. 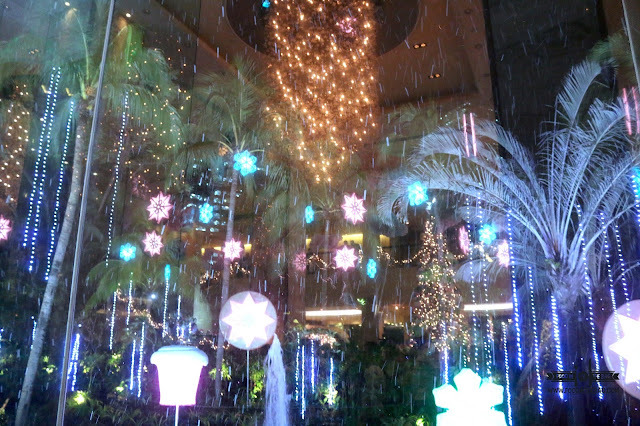 At certain times of the day, artificial snow falls just outside the window. 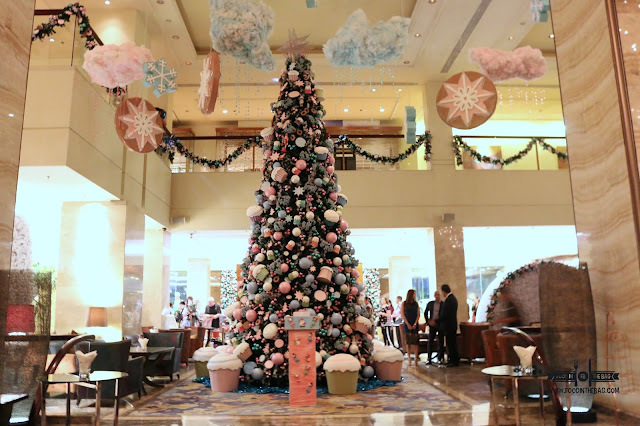 Perfect for a quick photo op and for patrons to reminisce and enjoy the holidays. EDSA SHANGRI-LA will have different promotions to entice the hotel's guests to stay and have fun. Check out their website for you to get the best deals. Disclaimer: wrote this base on my experience. was invited to attend this event.